Based on 1478 customer ratings. You don’t have to visit the Chicago area to get a taste of Giordano’s for yourself. When you taste the pizza pies and dishes at our Rivers Edge location, you’ll know why we’re the best pizza delivery and restaurant in town! Stop by Giordano’s and have a seat in our dining room, where you’ll have access to a full bar. 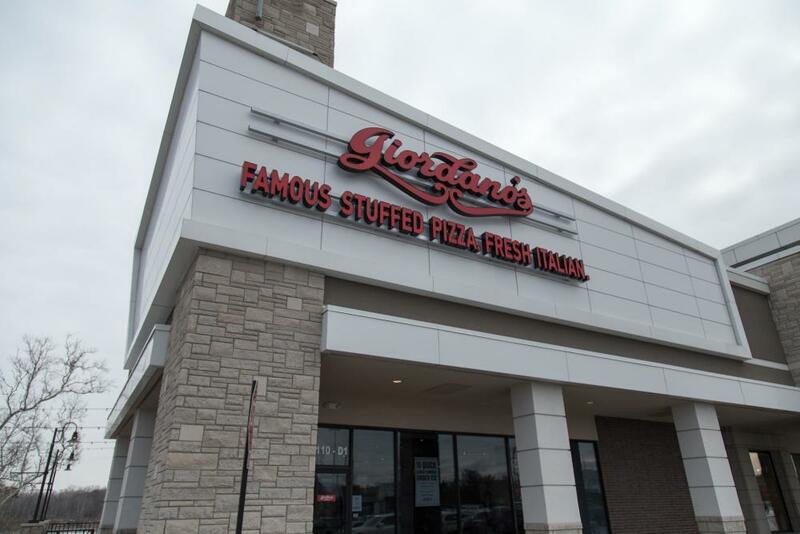 Alternatively, place an order for pickup or delivery and enjoy Giordano’s right at home! At Giordano’s, we’ve handcrafted artisanal deep dish pizzas to Chicago customers for more than 40 years. We’ve earned a reputation as having the best Chicago-style pizza in the region — and now, you can eat the best deep dish pizza in Indianapolis! A Cherished Chicago Tradition, Close to Home Chicago pizza is so much more than cheese and crust and toppings. It takes 6 pizza artisans to construct just 1 stuffed pie with the flavorful ingredients you love best. We add Wisconsin mozzarella made exclusively for us, and slow-bake your pizza until its double crusts achieve the flakiest layers possible. When it comes to the best pizza place in Indianapolis, look to Chicago’s Giordano’s! Giordano’s also has a full menu of delicious Italian dishes that everyone can enjoy. You’ll find savory pastas. You’ll find specialty sandwiches. You’ll find fresh and healthy salads, and gluten-free options, too. Giordano’s has something for everyone!